You can expand your knowledge with subjects that are not taught as part of your own study programme by following electives or minors. 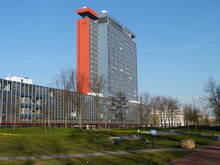 TU Delft offers minors in areas such as Technical Business Management, Economics and Innovation or Product Design. Some minors offer an ideal way to prepare for a Master’s programme other than the Master’s that follows on from your Bachelor’s. Taking a transfer minor can enable you to gain access to a Master’s programme other than the general Master’s.